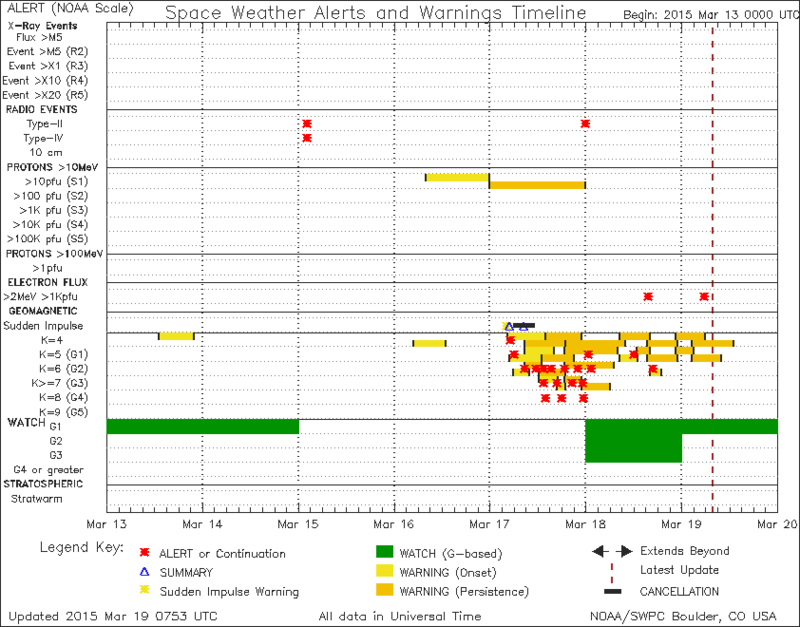 Geomagnetic activity detected by IRF of Kiruna (http://www.irf.se/maggraphs/puls.php). Very strong magnetic field variations if compared to quiet situation. 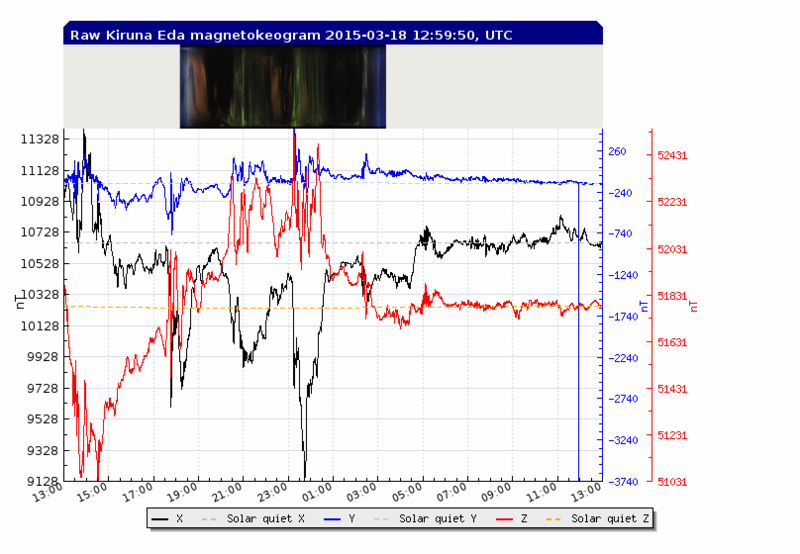 In the top Kiruna magnetogram, in the middle magnetic filed detected with FGM-3 fluxgate sensor. Storm peaks are coincident. Signal detected with ULFO induction coil. Signal detected with ICS101 induction coil. Signal detected with selfmade induction coil. 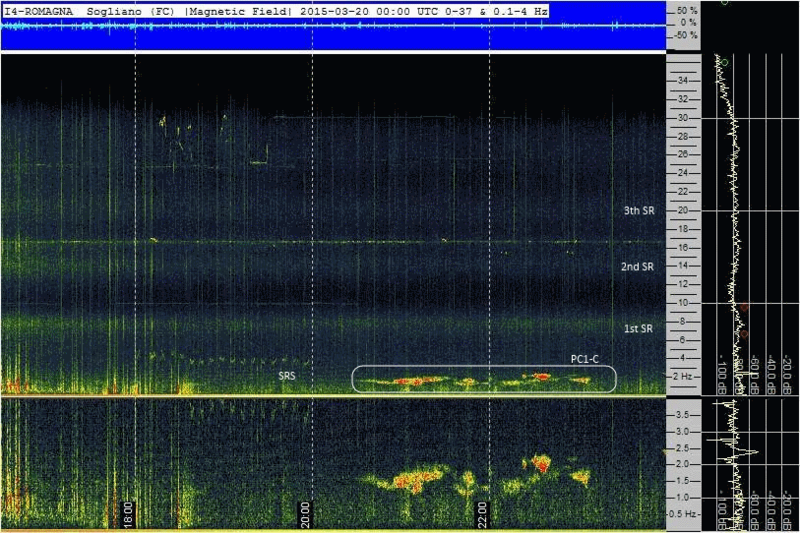 Multistrip daily magnetic spectrogram. 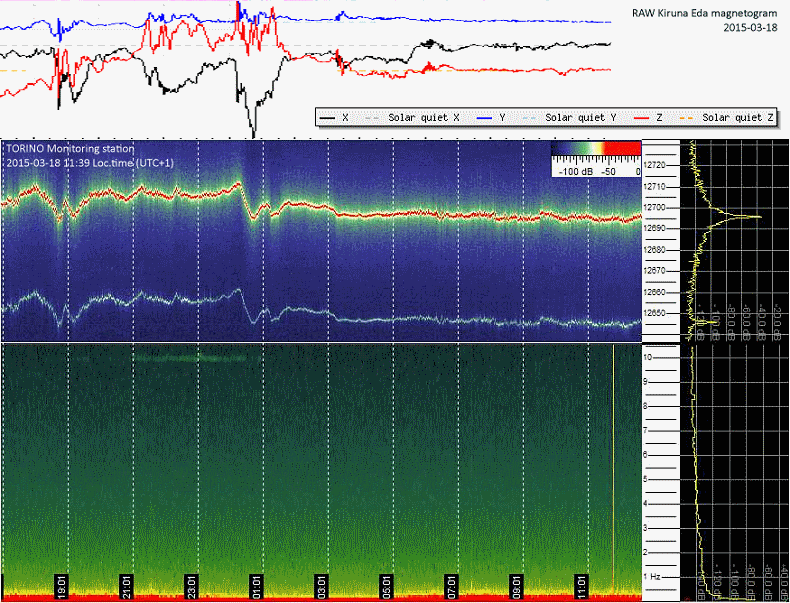 Evidenced: four PC-1 (A, B, C, D), weak SRS (Spectral Resonances Structures), first Schumann resonance at 7.8 Hz and local noise during the daylight. 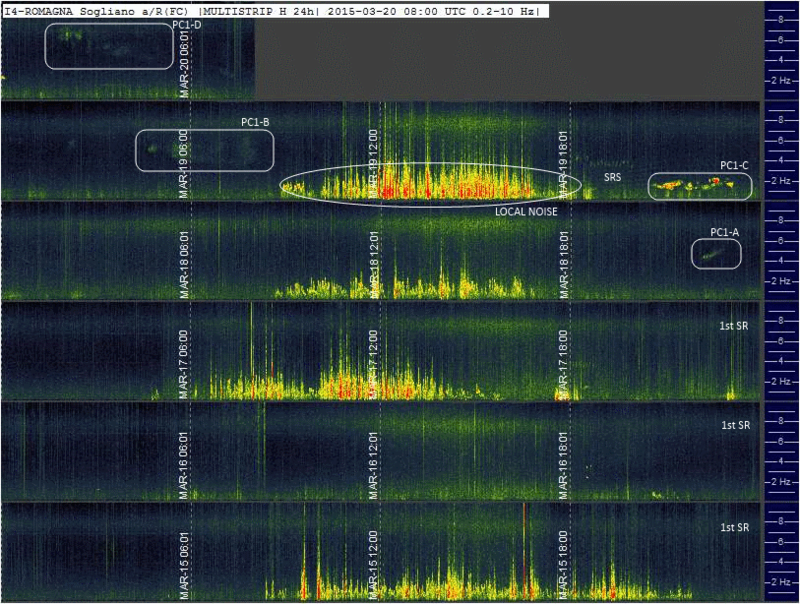 Multistrip daily magnetic spectrogram. Evidenced: three PC-1 (A, B, D), first Schumann resonance at 7.8 Hz and local storm during Mar 17 afternoon. 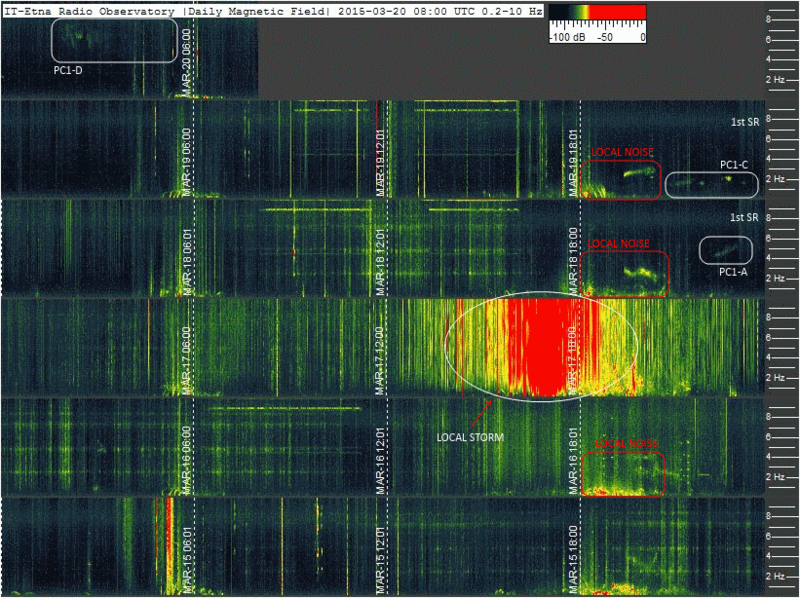 PC1-A evidenced in the white box, Schumann resonances marked on right side of spectrogram. PC1-C evidenced in the white box, very strong. 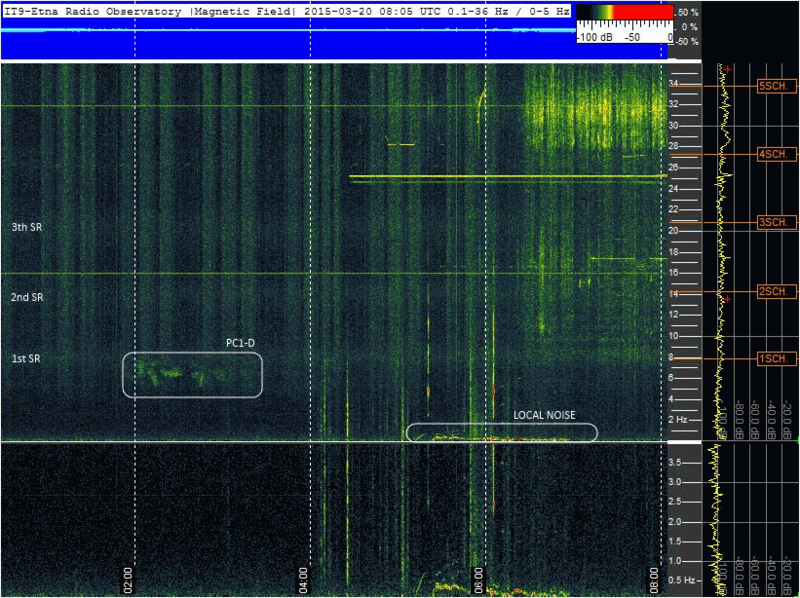 SRS near it and Schumann resonances marked on right side of spectrogram. 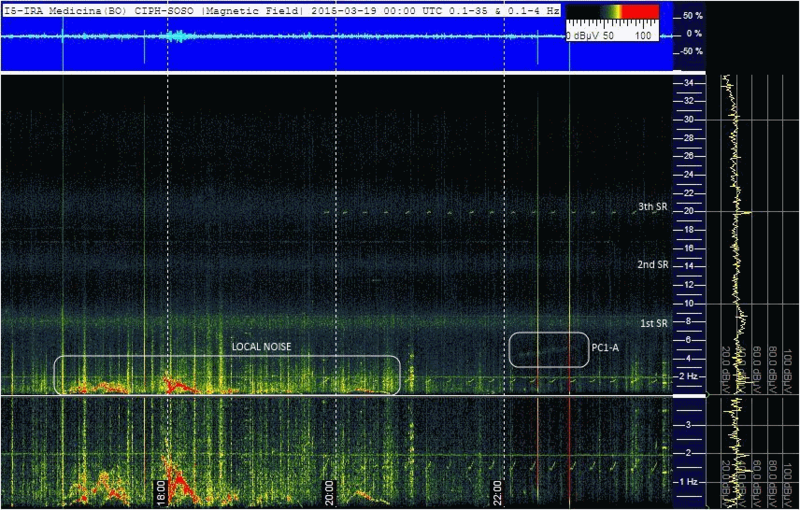 PC1-C evidenced in the white box, Schumann resonances marked on left side of spectrogram, local nose .